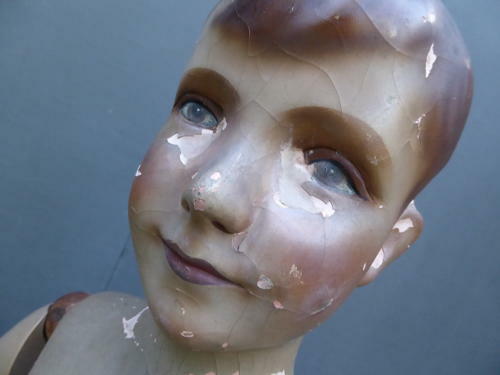 A beautiful antique shops mannequin in the form of a young male. A superb example of an early retail mannequin with articulated arms, hand painted & finished with the most wonderful facial expression. Super quality with a pleasing amount of wear & a fantastic overall look. Wear commensurate with age, unrestored. Two missing fingers to the rear of left hand, loss the the plaster outer in places, otherwise very good.